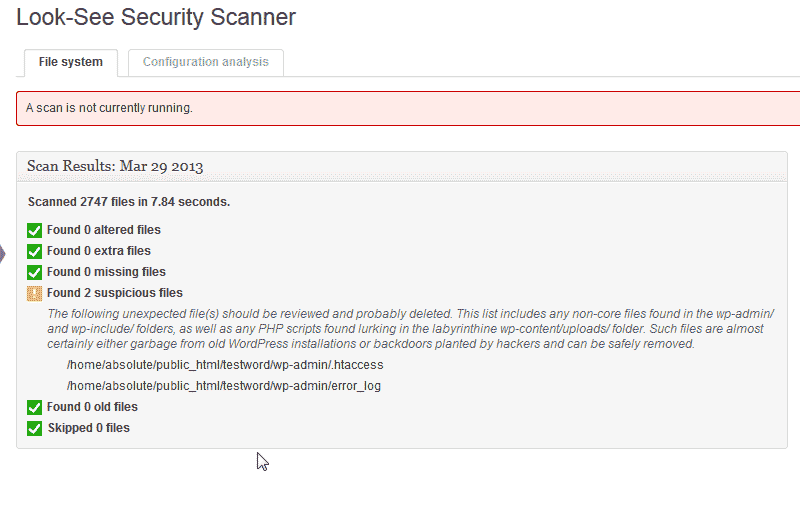 You can check your WordPress site security with the Look-See Security Scanner plugin. 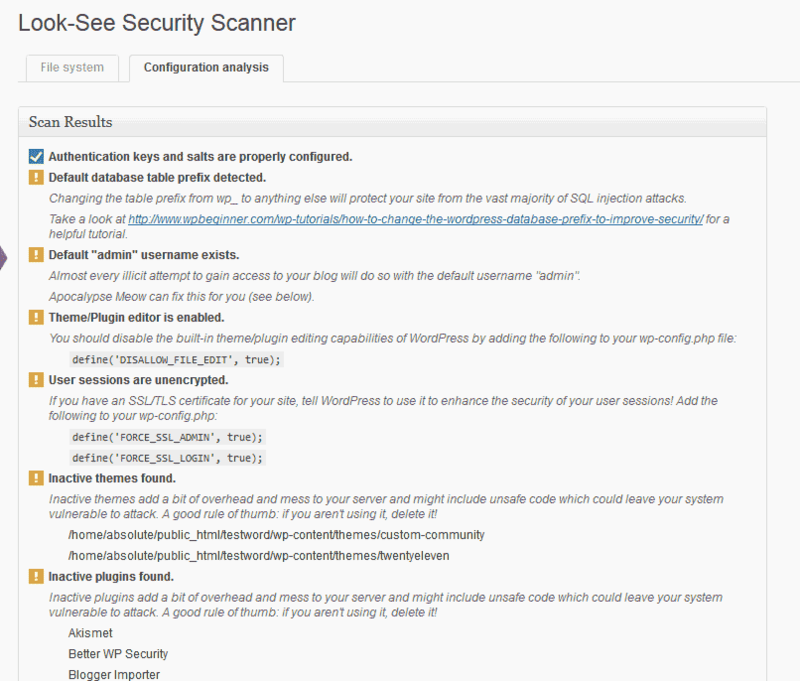 The WordPress Look-See Security Scanner plugin allows your WordPress website to be scanned for any vulnerabilities within the files and server configuration. 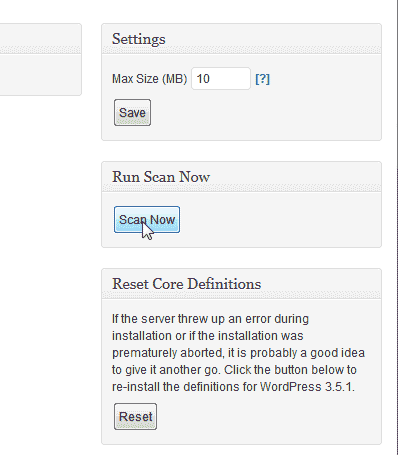 This article will explain how to install the Look-See Security Scanner plugin and how to scan your WordPress site. Go to the Plugins, click Add New. Search the Look-See Security Scanner. 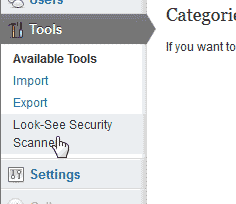 Select Look-See Security Scanner in the tools section. 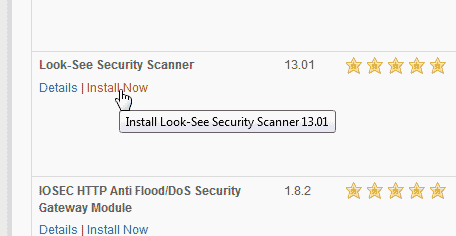 To get the scanner working, you will need to click Install Now. Now you will see a confirmation that the Look-See scanner was installed. Now you will see the Look-See Security Scanner Dashboard. In the Dashboard, Click Scan Now. 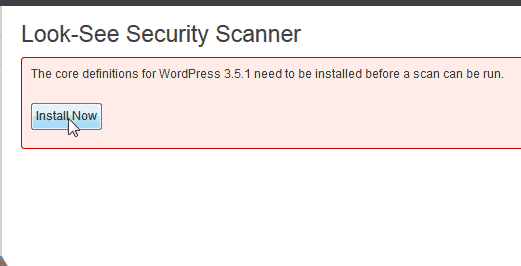 You will be presented with a File System scan that will show you where your WordPress my be compromised. The Configuration analysis shows where your WordPress server configuration such as database prefix, sessions, inactive themes, and other security issues are found.